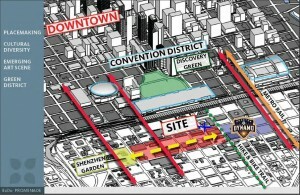 East Downtown Houston (EaDo) Promenade Map. Click to Enlarge. Blue Cross Marks Townhouse Location. So, what is EaDo? It is East Downtown Houston. The new name came with a new vision. 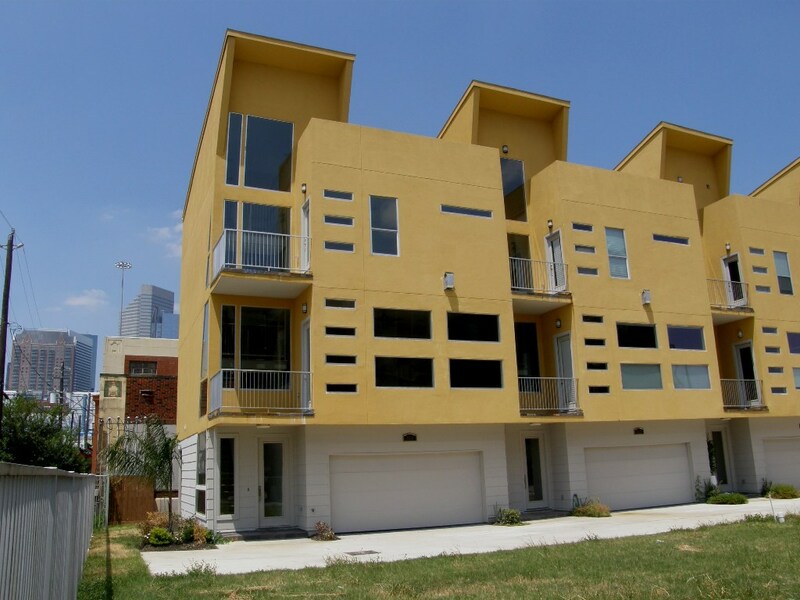 It is literally within walking distance of downtown Houston, Discovery Green, two ballparks, entertainment and much more. It is currently on the edge of all these activities. However, it is about to be in the middle of things. 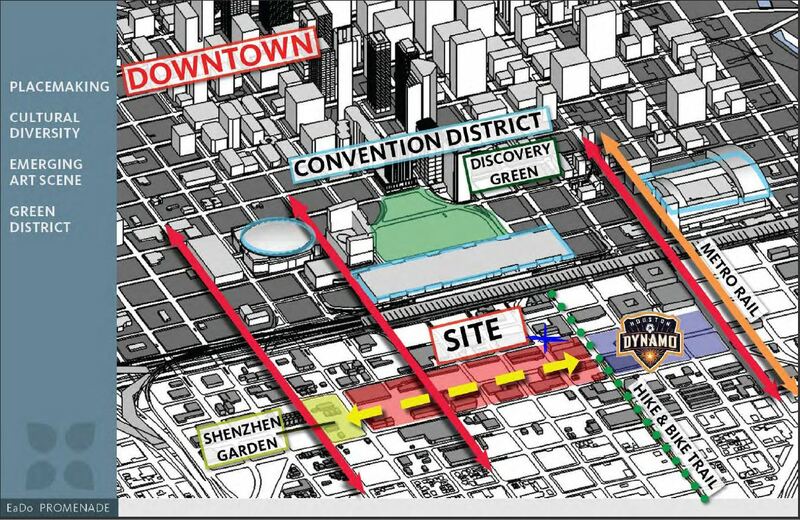 Check out the map of the planned EaDo Promenade. For a detailed look at plans go to EaDo Plan site. Another link shows the entire East Downtown Management District. 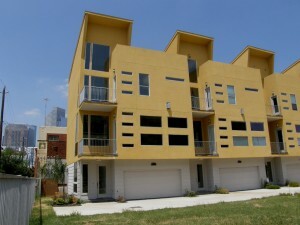 An intro from this link: “Welcome to EaDo – East Downtown Houston the Art & Soul of the City! EaDo is a vibrant neighborhood rich with history, interesting sites, thriving businesses and entertainment and best of all downtown living. ….” Anyway, Check ou the area. If you are a sports fan, note the location of the new soccer stadium. Walk there too! 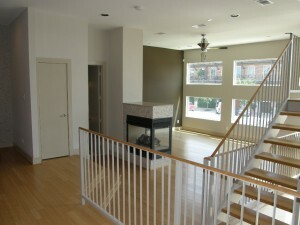 An absolutely gorgeous contemporary home, close to everything downtown. Bamboo flooring on all levels. Balconies off every bedroom. 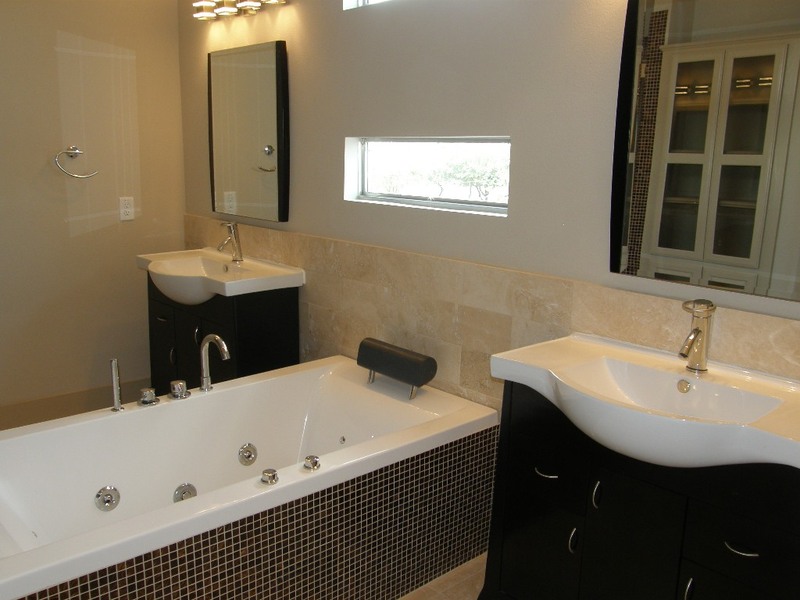 Contemporary plumbing and lighting fixtures. Uniques sinks, tubs, glass tile. Open living area with lots of windows. Glass staircase gives open feel. One BR/office on first floor with own bath. Too much to mention. See photos for more. Wonderful, bright, open spaces. Bamboo floors. Balconies on each level & roof. 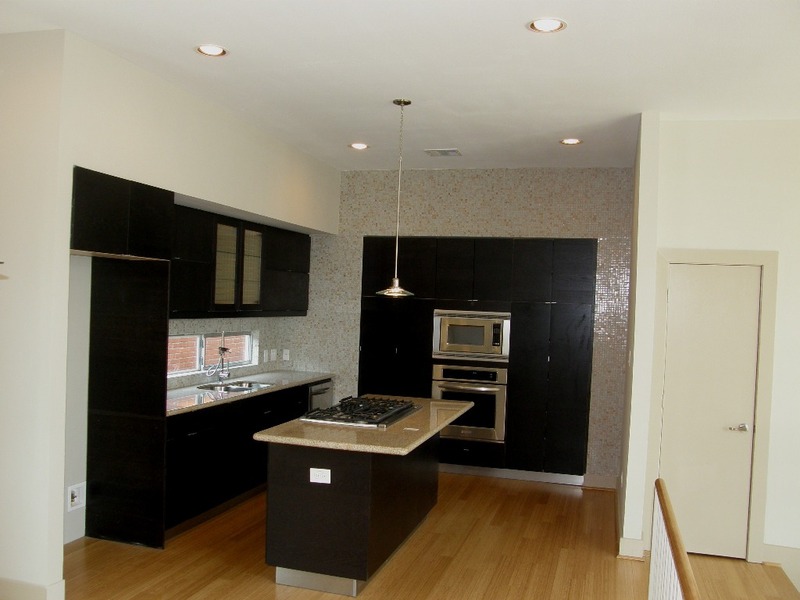 The Kitchen has island, stainless appliances, glass mosaic accent wall.